Setup a version profile for each Minecraft version that you want to mod. 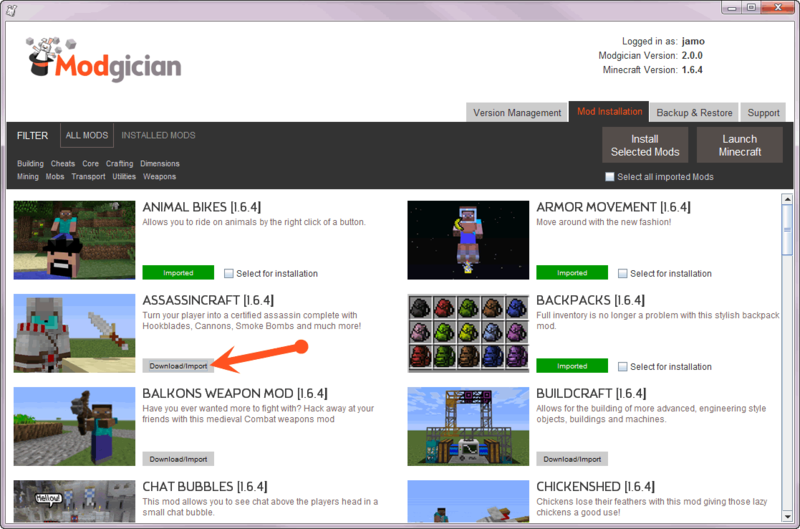 If you’re not sure, follow the tutorial on this page to set up your Minecraft profiles. Make sure you hit Play on each profiles at least once so that it downloads all the required Minecraft files. Launch the Modgician program by double clicking the Modgician desktop shortcut. 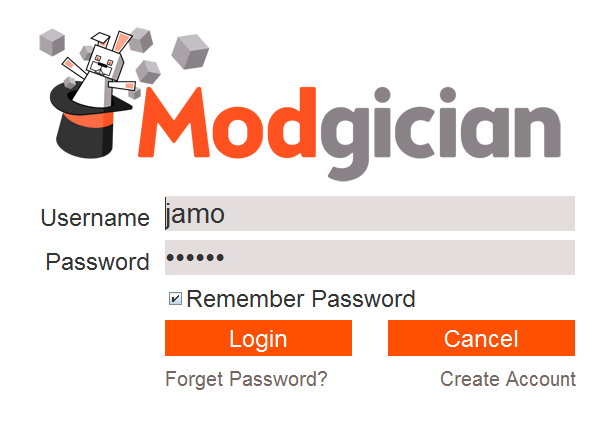 Use the same username and password when you create an account on the Modgician website. The first time you open the program to mod a Minecraft profile, you’ll need to generate a copy of your Minecraft profiles for modding. So just click the Generate button next to the Minecraft version that you want to mod. Click the Select button next to the version of Minecraft that you want to mod. To make it easier to find the Mods you want, you can apply category filters which will limit the list to only the categories you choose. Click the Download/Import button next to the Mods that you want to install. Follow the instructions on the window that pops up to download the Mod and import it into Modgician. Tick the ‘Select for installation’ box for all the Mods you want to install, then click the ‘Install Selected mods’ button. 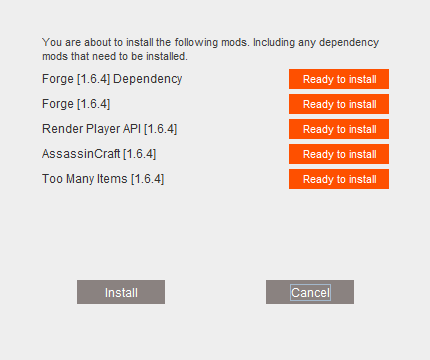 If the Mods require any dependencies (like Forge or Player API), Modgician knows what to do and will automatically take care of this for you. 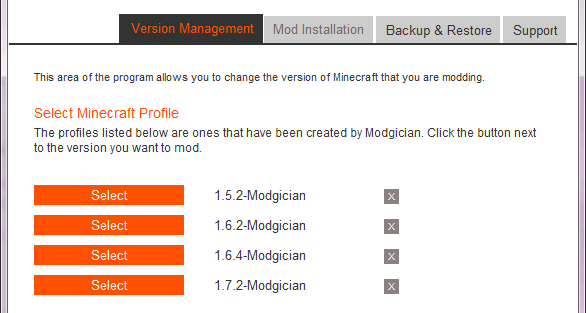 If any dependency Mods need to be imported, Modgician will ask you to import them first. Sit back while Modgician goes to work installing the Mods according to the pre-tested set of rules we have set-up for each of the Mods you’ve selected. You can either use your normal desktop icon to launch Minecraft or hit the Launch Minecraft button in Modgician. 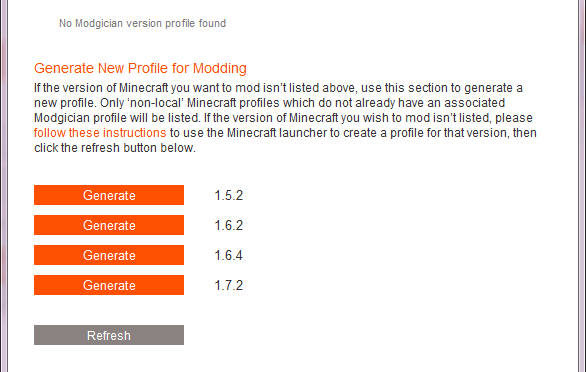 Make sure you click the profile dropdown in Minecraft and select the Modgician profile of the version you’ve just modded. Then click play.